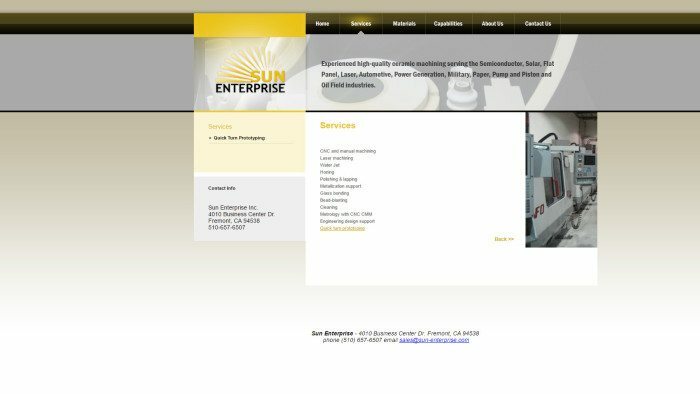 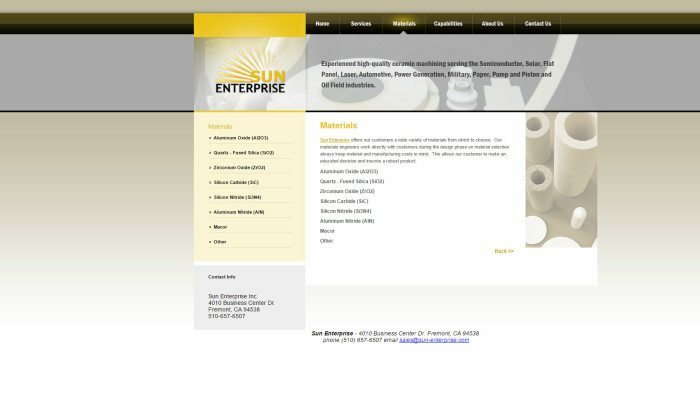 Sun Enterprise came to Motava to establish their web presence from just a logo and brief company overview presentation. 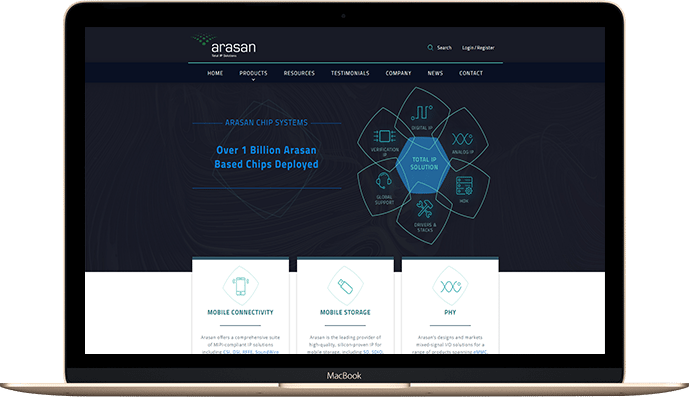 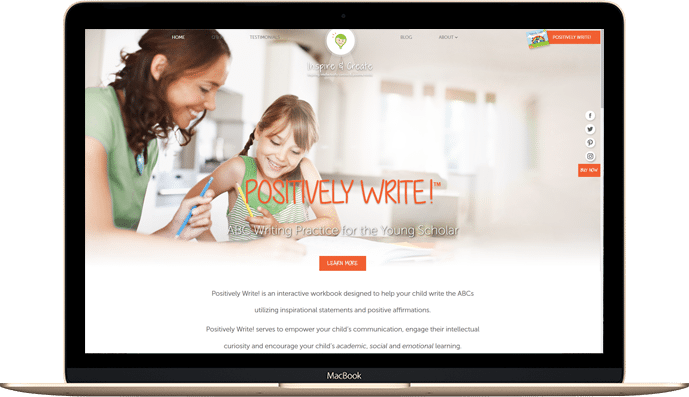 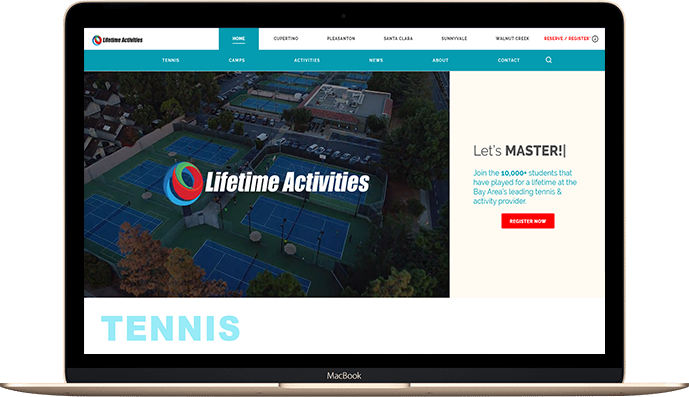 The site that was created was to convey subtle messages about the industry and provide clear text and pages from the landing page for key services they wanted to promote. 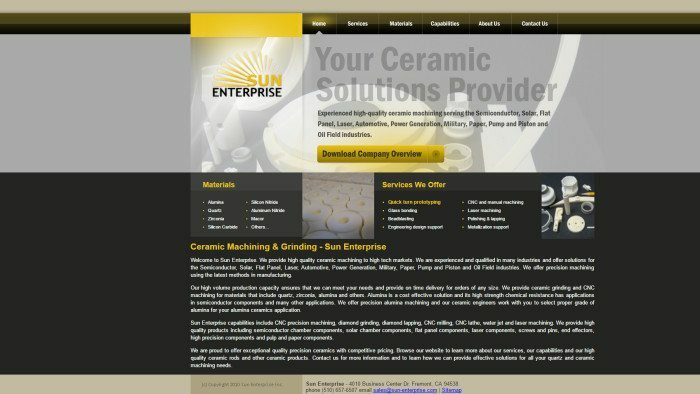 They also wished to promote a key message for industries that they specifically target due to their unique machining expertise. 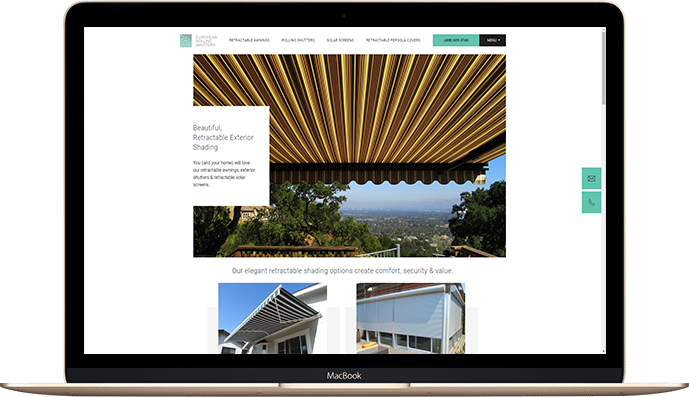 Motava created a site that has a custom landing page for a classy first impression with quick, customizable links to specific industry messages, specific materials offered and services offered. 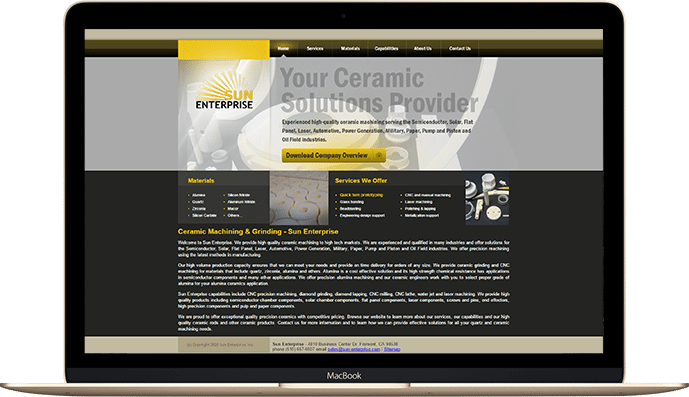 The main focal point is a company overview call-to-action that visitors to the site can download for an off-line, printable tour of Sun’s services (a key requirement of the ceramic machining industry). 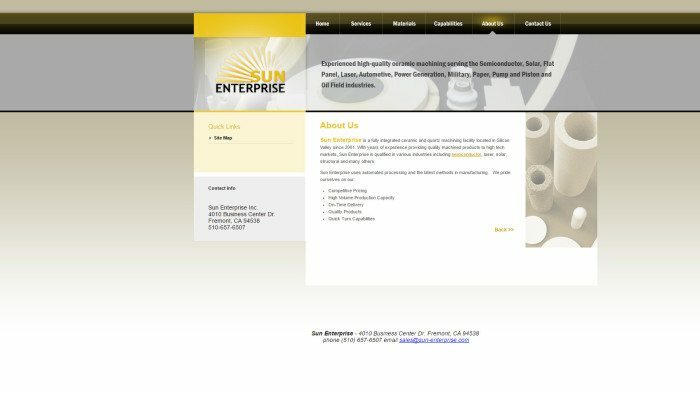 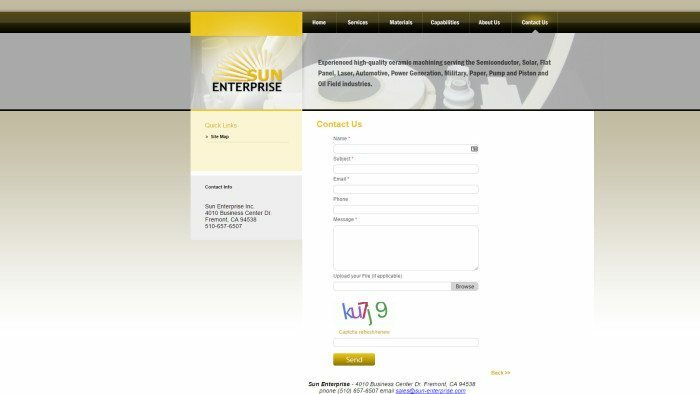 All elements are customizable including images on the homepage, links, text, company overview document and form creator.